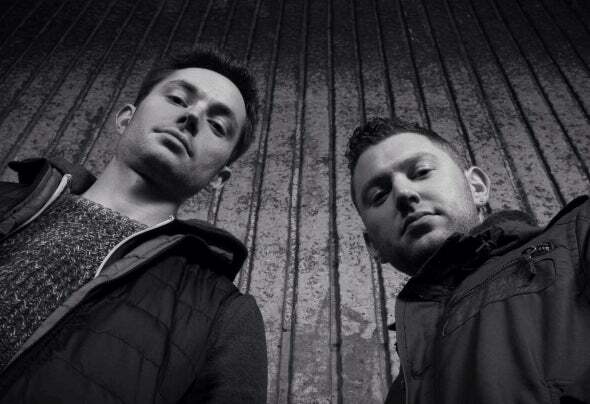 Pearson & Hirst (Paul Pearson & Ste Hirst) are DJ's and producer's of progressive trance music. Native to a small town in Yorkshire, close to the original home of the UK’s original trance music scene during the 90's and early 2000's - Gatecrasher, Sheffield. This super club and brand formed their mutual love and passion of trance music which has lead them to the path they now walk in unison together.Pearson & Hirst's musical paths first crossed from listening to influential artists tear up the dance floor around the UK. After witnessing the success of Gatecrasher, they created their own night named ‘Pressure’ based in their home town, Rotherham. The event’s overnight success soon became the foundations for their music career. In 2007 Ste took a break from music to start a family & Paul moved on from promoting ‘Pressure’ to form the illustrious 'Digital Society', which is now one of the largest leading dance music brands in the UK.The duo’s strong passion for electronic music ranged from progressive through to uplifting trance, and both have spent years working individually on their own unique styles. In 2012 they agreed to form a music partnership once again and combine their ideas together with one goal, to create quality progressive trance music.After a year of working together, Pearson & Hirst delivered their debut single in late 2013 aptly named 'Pressure' which was later signed by Will Holland & Tritonal's label ‘Enhanced Music’. The progressive uplifter saw massive support globally and was later featured on Armin Van Buuren's - A State of Trance Radio show. ‘Pressure’ saw continued support from Max Graham, Tritonal, Super8 & Tab, Lange and Ruben De Ronde to name but a few. "Up next on Digital Society Recordings comes an uplifting track from British production duo, Pearson & Hirst - Pressure. This peak time club track builds to a dark and energetic breakdown with minor-key synth stabs dictating the atmosphere. When the kick drum returns, it's all hands in the air for this driving trancer. Massive support from Armin van Buuren on ASOT for this excellent release!” - Beatport.comFollowing on from the huge support of their debut single, Pearson & Hirst secured sets throughout the UK, performing at The Warehouse Project, Manchester. Trance Sanctuary, London and the huge Digital Society in Leeds to name but a few. 2013 saw the duo become residents for the mighty ‘Digital Society’ at its home in Leeds, UK and now host their debut radio show ‘Progressive Nature’ aired monthly on the world renowned internet radio station ‘Afterhours FM.Paul & Ste have been good friends for over 15 years and share a strong Passion for Electronic Dance Music. Working hard in the studio on their latest sounds, 2014 will showcase a brand new collection of new singles and remixes.